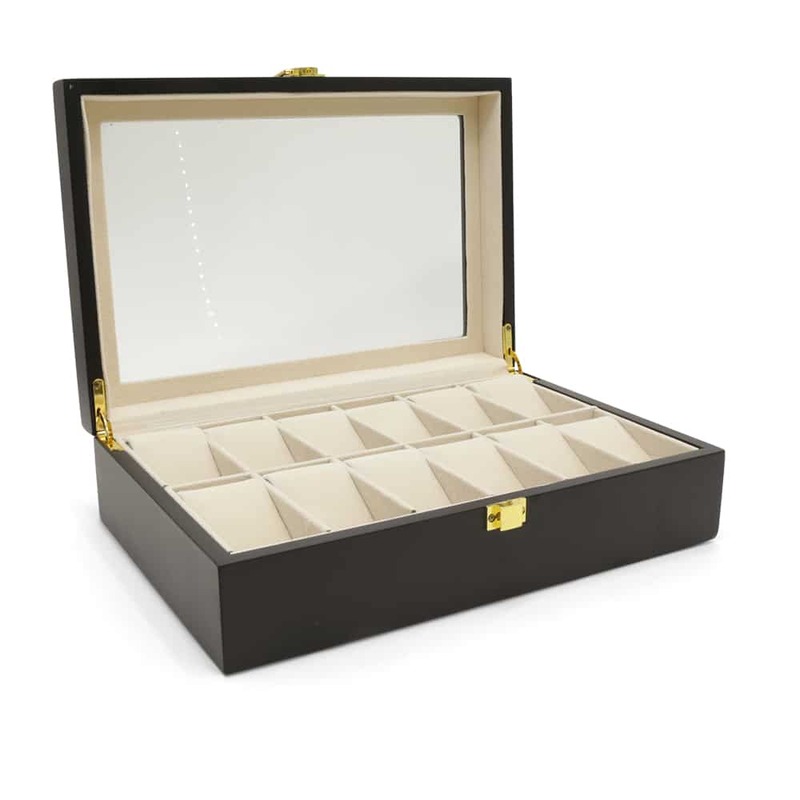 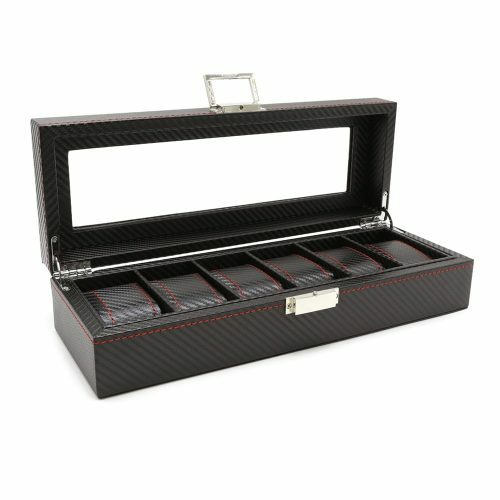 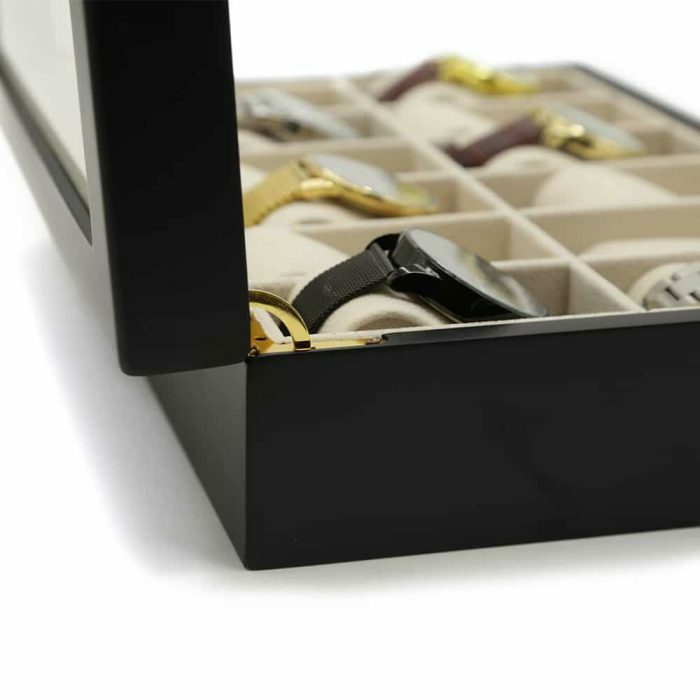 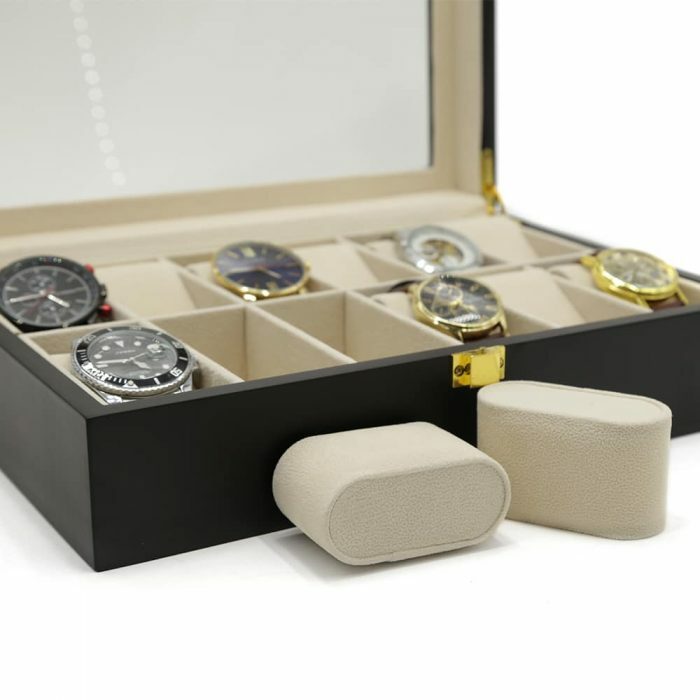 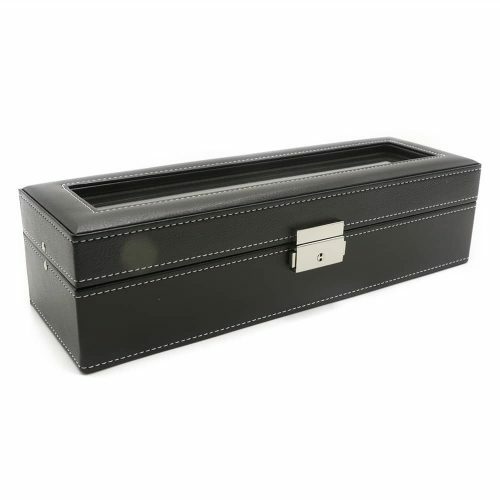 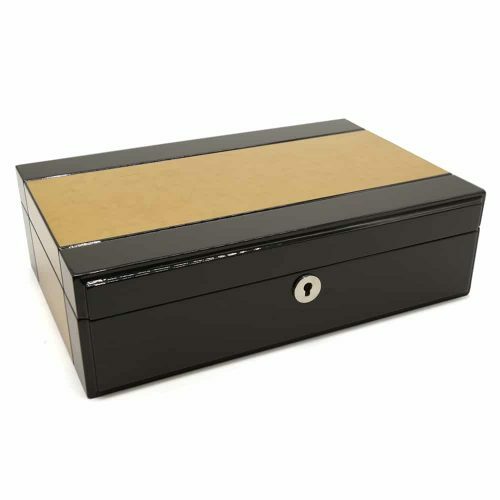 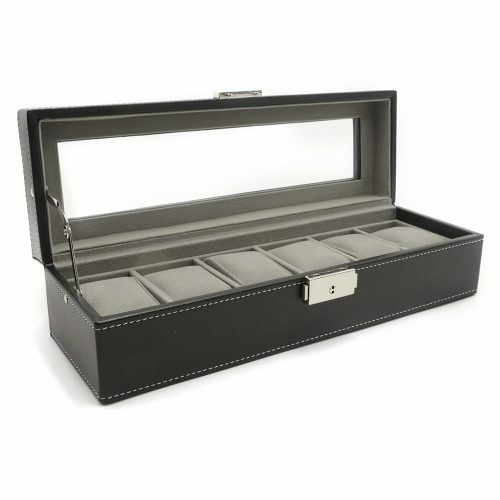 Get this elegant wooden Black 12 Slot Watch Box and display your watches in style. 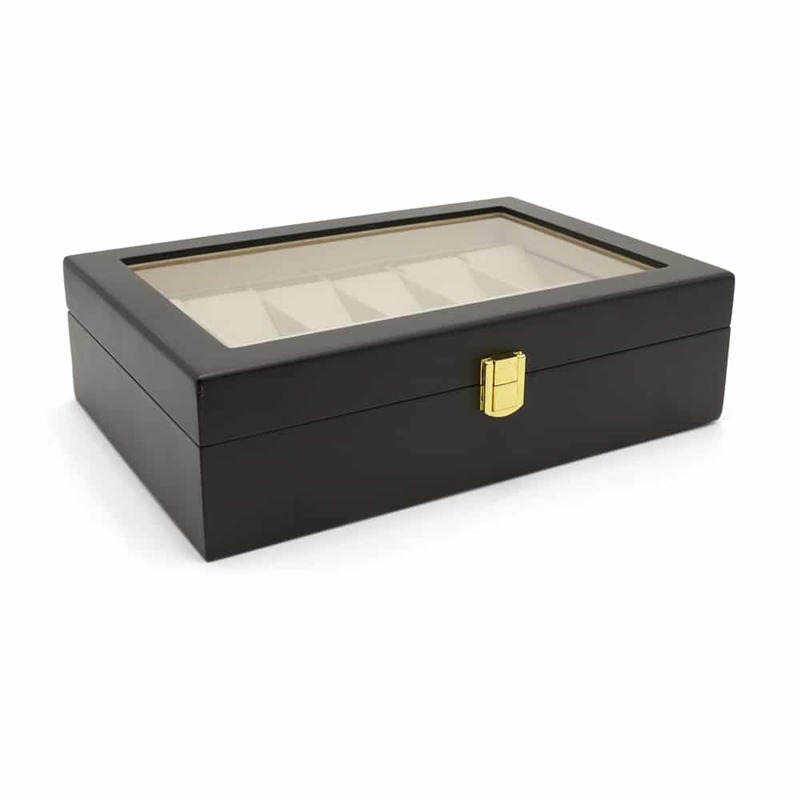 It has a clear lid to allow you to view and select from your collection easily. 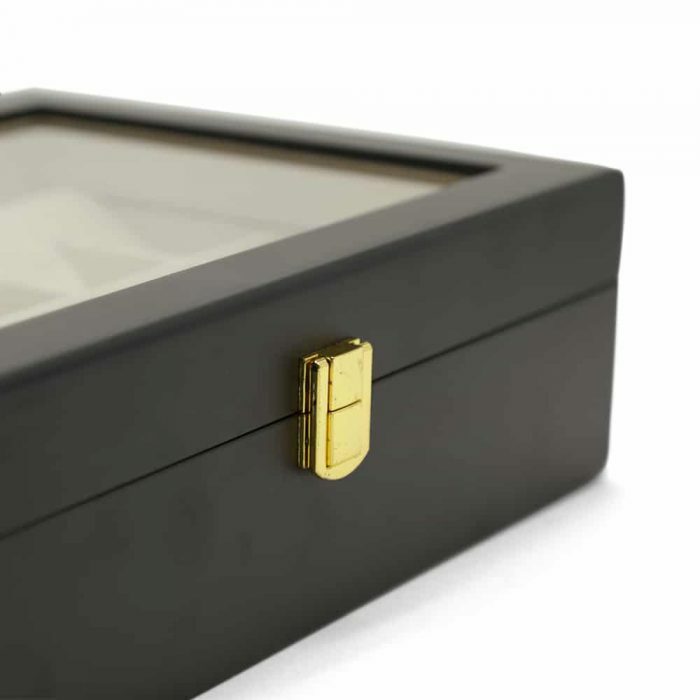 The exterior is in an elegant black color accentuated by its golden features. 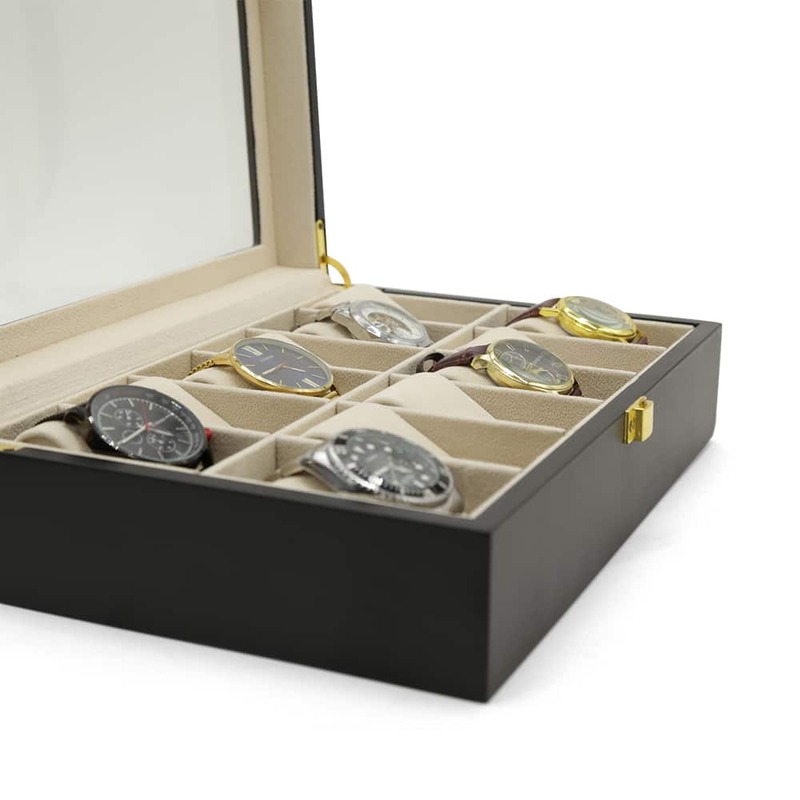 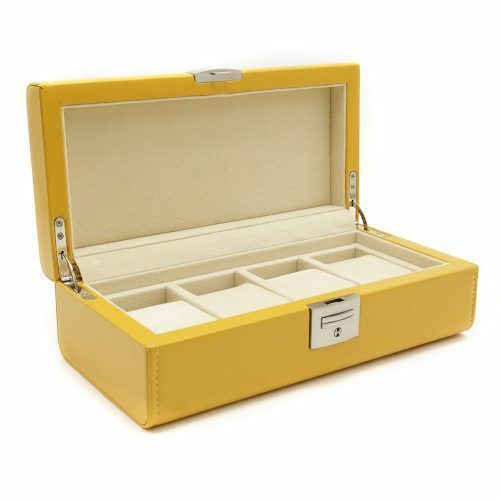 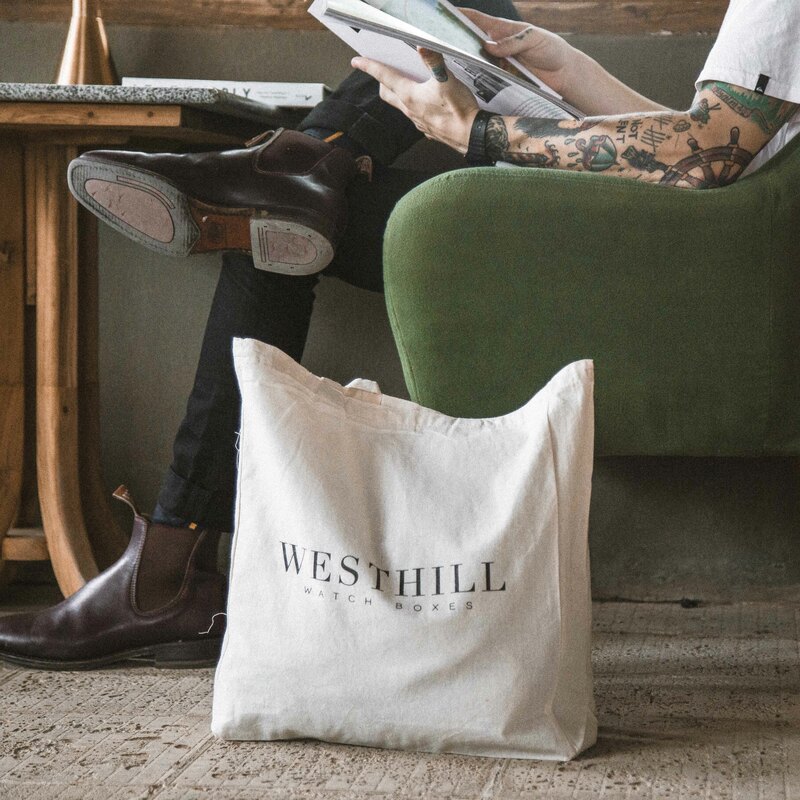 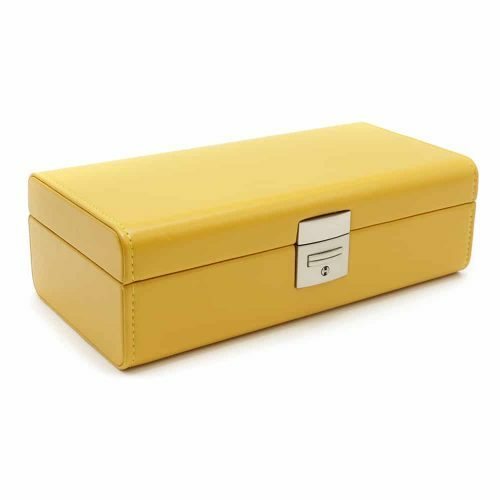 Inside, it’s fitted with a soft cream velvet interior with 12 matching soft pads to ensure your watches are scratch-free. 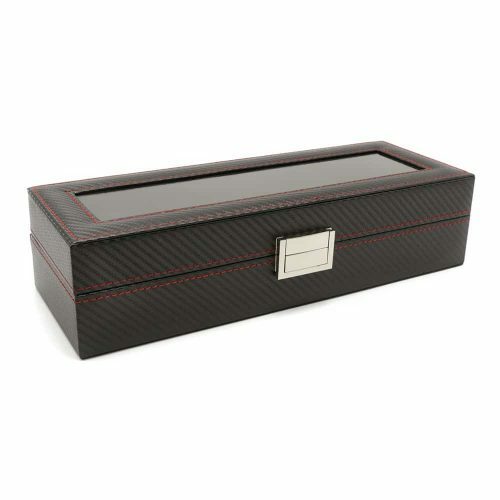 This box is perfect for display and for proper storage.